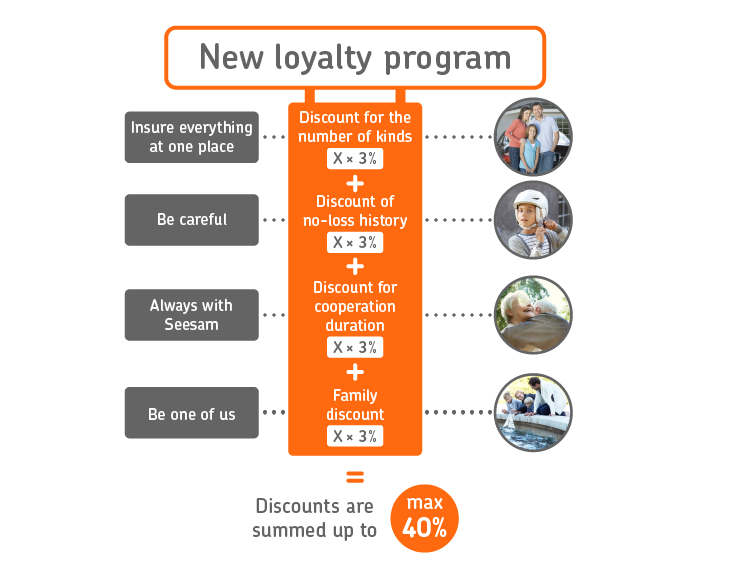 "Seesam" Loyalty Programme provides its regular clients with attractive discounts. how many of the client’s first degree relatives have purchased their policies from "Seesam". The above criteria give a client a possibility to accumulate a loyalty discount of up to approximately 40%. Duration of cooperation and no-loss history discounts are listed from 1 January 2012. Loyalty discounts are not added to other discounts. The bigger discount is always applied.